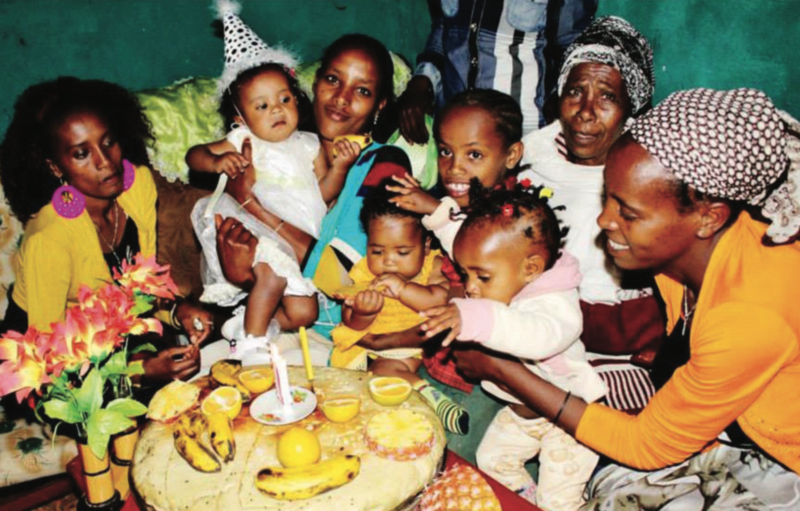 Because peace begins in the home, GPW promotes the extended family ideal to build healthy families; recognizes the indispensable value of women as daughters, wives, and mothers; uplifts the innate value of femininity; and encourages women's transformative leadership in their families and in the greater community. Today's focus on individual freedom and economic development has led to a neglect of the family. Family encapsulates the most intimate bonds of the human experience. Despite differences in personality and temperament, family members form loving and lasting relationships in a home environment that is promoted and guided through unique feminine love and support. Women therefore have a crucial leadership role in building peace in the family, the cornerstone of healthy societies, nations, and a prosperous and ethical world. Regardless of race, religion, nationality, or culture, all people are united as members of one family because we share a common heritage and origin. Our Creator endowed everyone with intrinsic value, dignity, and fundamental human rights, which are essential elements of peaceful and ethical societies. Global Peace Women advances the vision of establishing One Family under God through women-led initiatives that promote the extended family model and create an environment for peace to begin in the home. By empowering women to proactively transform themselves and their family members, GPW fosters healthy and happy families, uplifts the innate value of femininity, recognizes the indispensable leadership of women in the family, and spreads the culture of transformative service through networking, education, local and international advocacy, and community service projects. A cohesive multi - and inter - generational family as opposed to the nuclear family unit. This includes grandparents, parents, children, aunts and uncles, as well as cousins.